Today, we’re sharing two new ways our technology is helping to do just that. Over the past year, you’ve heard me mention the possibilities we’re seeing with Minecraft in education. By creating a virtual world and then advancing in it, students can learn digital citizenship, empathy, social skills and even improve their literacy - while getting real time feedback on their problem solving skills from the teacher. In fact, more than 7,000 classrooms in more than 40 countries around the world are already using Minecraft. Alfriston College students in New Zealandare partnering with Auckland War Memorial Museum to learn the history of the New Zealand people who served in the 1915 Gallipoli campaign by re-creating the landscape in Minecraft, block by block. Middle schoolers are learning the building blocks of computer science in an online Minecraft coding camp. Elementary students in Scotland are learning about city planning and engineering by reimaging, redesigning and then building in Minecraft what they think Dundee waterfront should look like. Building on this natural use of Minecraft in the classroom, we’re excited to announce today that Microsoft is acquiring MinecraftEdu and investing in a new and expanded version of Minecraft for the classroom called Minecraft: Education Edition. Building on the success of the title from Teacher Gaming LLC, this new title – available for free trial this summer – will offer an expanded set of features to empower educators to foster deeper student engagement and collaboration. 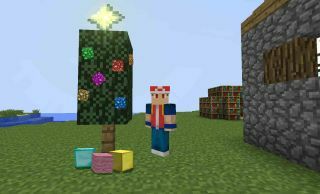 Minecraft: Education Edition will be shaped by a growing community of educators throughout its development this spring and through the educator community online at http://education.minecraft.net. I’m happy to share that this site will also boast a new Minecraft Mentors program, matching educators with experience using Minecraft in the classroom with those looking to try it for the first time. We’re also seeing huge enthusiasm from educators around the world with how they are using OneNote in their classrooms to collaborate and share. It really has grown beyond a tool for notetaking to reflect Microsoft’s desire to accommodate any learning style and the collaborative way students work. Building on feedback from educators as well as scientific research, today we’re also introducing Learning Tools for OneNote. A Microsoft hackathon winner– Learning Tools for OneNote is an important toolbar add-in for OneNote 2013 and 2016. It is designed specifically to improve reading and writing experiences for all students, including for those with learning disabilities like dyslexia. Learning Tools incorporates special text formatting and other features that can make classroom activities easier, including advanced dictation, focus mode, and immersive reading. Give it a try by downloading the public preview version today at onenote.com/learningtools. We’re at the BETT Show this week sharing details about both of these additions to our work with schools around the world and more. I hope to see you there or on Twitter to join us in the conversations.